Rosabella Gregory is a British singer-songwriter who has performed in New York, Paris, Barcelona and throughout the UK, supporting acts such as Jools Holland, Ben's Brother, Justin Nozuka and Kathryn Williams. She has become a firm favourite of BBC Radio 2 legend Bob Harris, with her most recent appearance on his show earlier this year to promote her new EP 'Changing Keys'. 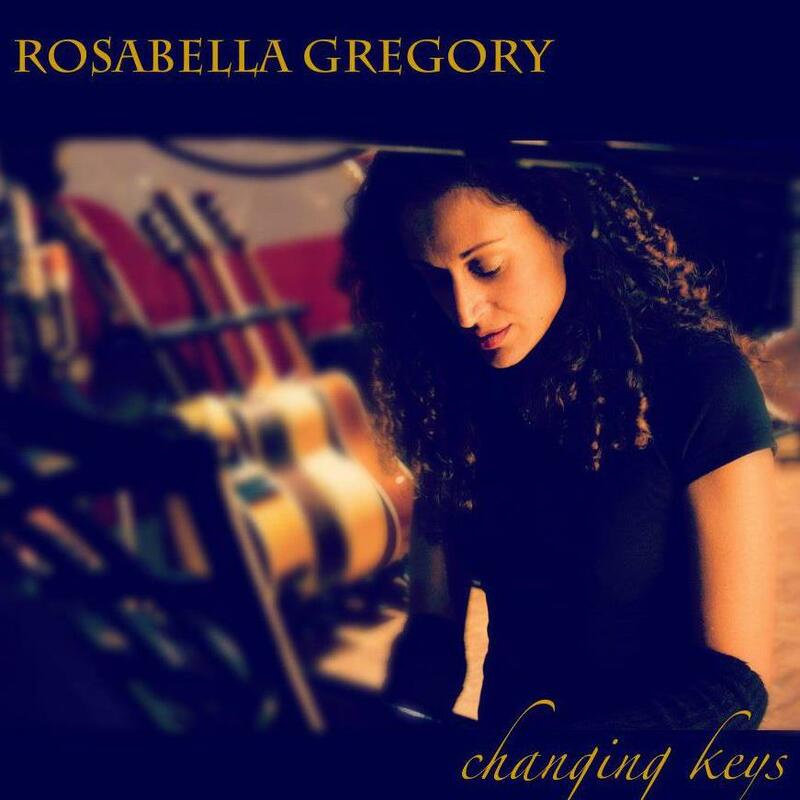 In 2007, Rosabella won the 'International Prize' in the New York Songwriters Circle Song contest. 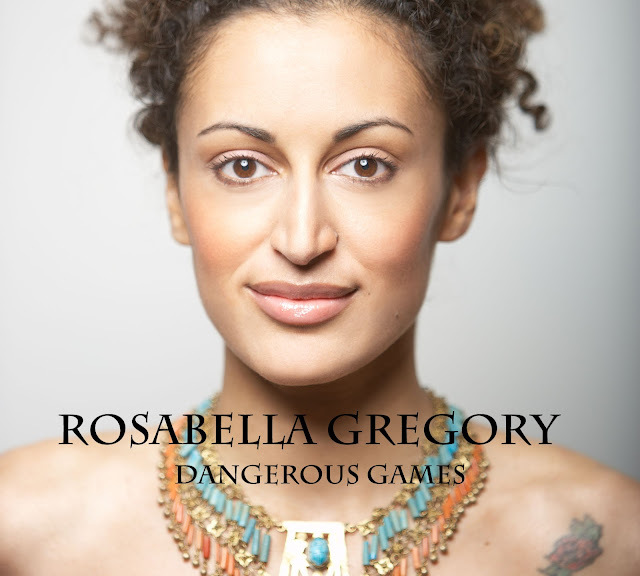 Her compositions have been featured in several movies, including the soundtrack to the Bruce Willis film 'Lay the Favourite', and she has composed the music for advertising campaigns in Asia, such as 'I'm A Dove Girl..' Rosabellas album 'Dangerous Games' is out now, and here she shares her songwriting tips. Do you have a daily songwriting routine or do you wait for inspiration to strike? There are always musical ideas and fragments playing round in my mind. It occurred to me recently that to live without these Rosie-soundtracks would be a most isolating existence. Access to 'creative' ideas seems to come effortlessly when I'm engaging myself in a repetitive/seemingly mundane activity, like running/showering/domestic chores/chatting to someone who isn't engaging me at all! Perhaps when I am close to being in a 'meditative' state, creativity can flourish, free from the scrutinising glare of my over-thinking brain. Do you have any tricks to get the creative juices flowing? Indulging my senses in the creative outpourings of others; looking at beautiful paintings, walking on dartmoor, reading engrossing stories, people-watching in fabulous european cities, learning about inspirational figures. I find 'looking out' rather than 'looking in' fuels a hunger in my belly to add something of value to this world, even if it is only in the size and form of a musical nugget. Do you find you normally start with a melody or lyrics? Either. From day one (6/7 years old), my twin wrote the lyrics and I'd supply the music. Either would come first, and the process was almost instantaneous. A story/ an emotional trigger sets the ball rolling. Sometimes - even now- if a lyric resonates with me, I hear music as I am reading it. Then the trick is to catch the musical idea as quickly as possible before I lose/alter it. Do you think that melody is the most important aspect of a song? Lyric/melody/harmony/rhythm, these are the general 'palettes' we use when crafting a song. For me, the aim is to convey the song as honestly/specifically as I can, using these elements in whichever way the song requires. Melody sometimes carries everything you need, and lyrics need not be descriptive, but perhaps carry more weight when they are abstract. There are so many ways to express an idea in a song, I'd say the 'idea' behind the song is therefore the most important aspect. How long does it take you to write a song? It varies. Maybe 5 minutes, maybe I'll struggle and swear my way through the process for a week. I tend (perhaps wrongly) to feel the songs that 'happen' quickly have more integrity than those I had to 'force'. Arguably, this is a romantic notion that holds no ground. The more I write, the more I feel the urge to write. A bit like the gym…exercise the right muscles and they start to crave the exercise. Could you explain a little about the writing process behind a few of your songs? Sometimes I liken songwriting to trying to tune in to a specific frequency on a radio dial. If I stumble upon inspiration it is the complete idea and my only aim at this point is to make sure I can grasp the inspiration quickly so I don’t lose it. Then there is the ‘emotional trigger’: 'Sylvia' is a song on my new album 'Dangerous Games' that was inspired by a teenager in a convenience store who at first intimidated me, but on seeing self-inflicted scars all over her arms I felt an immediate urge to tell her story and her music came instantly. 'Better Love Next Time' (from my debut album "Everything Comes Together") came to me in a finished blob whilst I was on a train to visit my big sister in Manchester. It occurred to me back then, that I am still haunted by ghosts of my past, and 'Better Love..' was a way of making peace (albeit internally) with one of them. 'Elodie' ….well, she is my favourite Rosie-song. Inspired by a little, podgy ballerina in the teeny-tots class (back when I'd abandoned my own ballet-ambitions and had started playing piano for classes in my early teens.) She was ostracised by the other tots (amazing how early we form cliques), and even the teacher was a little repulsed by her, because her movements could appear vulgar and ungainly (even at the age of 3). When I started to play music, this little girl would become visibly infected/enchanted by the music, and her body would take over, expressing her delight in leaps and twirls and wiggles and amusing little shapes. Years later, in a converted barn, in the French countryside, I found myself seated at the piano and pondering what may have happened to that little girl. For a touch of spice, I added a crack-whore mother and relocated her to Bethnal Green. I called her Elodie. 'Tour Of Duty' (lyrics by my twin, Dina Soraya Gregory) Not so long ago, Dina emailed me her lyric, along with a web link that took me to an article by Tina Rosenberg about Post Traumatic Stress Disorder, and the extraordinarily high rate of suicide amongst PTSD sufferers. These are - for the most part - soldiers, returning from combat in Afghanistan and the Middle East ; young men, who have served their country, seen unspeakable violence, and watched their fellow soldiers - brothers - die in front of them. These guys are returning home to a world that they can no longer inhabit. Too much has been left behind, and too much has been witnessed.The article made for harrowing reading. Dina's lyric destroyed me... Then came an urgency to create the song, and it came so quickly that I didn't know if I'd actually done anything. This happens when there is no more barrier between me and the subject matter. I was so fully immersed, in the injustice; the heroism; the isolation - it was an overwhelming need to express/bring these words to a wider audience. Do you have favourite keys to write in? I'm somewhat tethered to the shapes that fall under my hands (I write at the piano) and the key my voice wants to sit in to convey the character of the song. Do you think that a technical knowledge of theory is important or does it get in the way? The more you can hone your skills and understand the craft of songwriting (listen to the songwriters that came before, immerse yourself in the storytellers/poets/film-makers that inspire you), the more you will absorb these ideas and - so long as you have courage to approach things in your own way - you will be a better songwriter for it. The myth that understanding the 'science' behind something detracts from its beauty or magic, is just that : a myth. Do you write songs with a view to being commercial and following current trends? No, i'm not interested in following trends. Have you done much co-writing, and if so what do you see as the benefits? Aside from my "twin-collaborations", I have worked with quite a few other lyricists and a couple of producer/writers. When you meet someone and click, they will usually share your basic principles, but come with new perspectives and obviously different life experiences, so together you have a fresh pot of inspirations. If you don't click, it can be awkward and irritating and antagonistic and in the worse-case scenario, one person will have to succumb to the will of the other if only to keep the peace. This would be antithetical to creativity and possibly why some people are unwilling to collaborate. I got lucky having a womb-sharing collaborator. Whilst i have seen the value of collaboration, I wouldn't subject anyone to doing it if they are happy generating their own ideas. Who do you view as great songwriters. Who has inspired you musically/ lyrically? Too many to mention! Whispering Bob Harris recently asked me this very same question!! My first musical crush was Billy Joel : a humble servant of the song and a fellow piano-demon. Then we have a list as long as a piece of string : Kate Bush, Michael Jackson, Stevie Wonder, James Taylor, Richard Bona, Bob James, Toto, Weather Report, Carole King, John Williams, John Barry, Tracy Chapman, Tori Amos, Nik Kershaw, Frederic Chopin, Wolfgang Amadeus Mozart, Ludwig Van Beethoven, Wojciech Kilar, Sergei Rachmaninov, My Dad and many many many more. Do you feel that when there's conflict/struggle in your life that it inspires better songs?I'll say I am eternally grateful for the access to music when life has presented big obstacles. Do you have any advice you'd like to share with budding songwriters out there? Have the courage of your own convictions, remember that your voice is unique and… do it your OWN way. The world has more than enough imitators and clones. We need new ideas to grow. Click on the following to find Rosabella on the web.